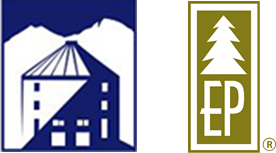 Events listed here are those scheduled at the Estes Park Events Complex and other Town of Estes Park venues. The Estes Valley Model Railroaders invite you to this model railroad train show. Experience model railroad layouts in many scales, shop model railroad related vendors, and enjoy interactive children and adult activities. The show is open Saturday 9-5 and Sunday 9-4 at The Pavilion. Adult admission is $7 and kids 12 and under are free with a paid adult admission. Please join us for the annual Estes Park Wedding Association Bridal Show and meet with more than 50 vendors in the Estes Park area who can help make your dream mountain wedding a reality. The event will give participating organizations an opportunity to showcase their businesses and services, share details on Fall and Winter programs, as well as attract patrons and raise awareness of sports and fitness opportunities in Estes Park. The event gives attendees an opportunity to learn about how to prepare for Winter on many levels, as well as hear about safety and keeping mobile and active through the coming months. Guest speakers from the community will be presenting at 30 minute intervals, starting at 2.30 pm, with subjects ranging from Winter Wellness to winter preparation tips. All members of the community are invited to come and join in the festivities, and to find out what cool events and programs the sports and fitness businesses and organizations have planned for Fall, Winter, and 2017, in the Estes Park area! ​This event is FREE and no tickets are required. More information is available on the event organizer's Facebook Page. A Celebration of Earth Day, Arbor Day, and Mountain Culture! 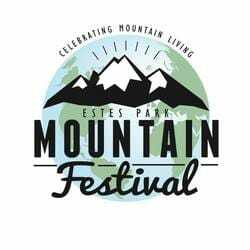 This free, community event will feature live music, special guests, a special celebration of the Town of Estes Park's 100th birthday, and more! The Estes Valley Recreation and Park District is hosting a river cleanup in the Estes Valley in the morning on Saturday prior to the festival. Everyone in the community is encouraged to take to the rivers in Estes Park and pick up trash. Following the cleanup, the Mountain Festival will start at 11:00 and go until 5:00. Another addition this year is that on Saturday there will be live bands, family fun & games, food trucks, local craft breweries, and much more.